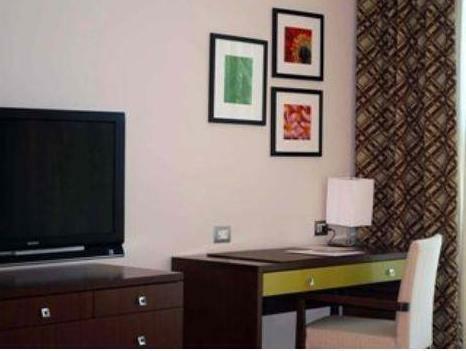 ﻿ Best Price on Hotel Ciudad de David in David + Reviews! 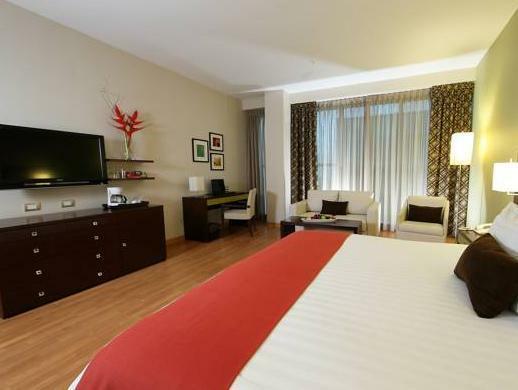 This modern hotel is located in the Panamanian city of David, just 3 minutes’ walk from Miguel de Cervantes Saavedra Park. It offers a fitness center, a sauna and an outdoor pool. The air-conditioned rooms at the Hotel Ciudad de David feature parquet floors and stylish décor. Each one comes with LCD cable TV, free Wi-Fi and a private bathroom with a hairdryer. The hotel’s Stylo Resto-bar Restaurant serves Panamanian food with a modern twist. There is also a stylish lounge bar where you can get a snack or a drink. Staff at the 24-hour reception can provide information about what to see and do in Chiriquí province. Hotel Ciudad David offes free airport shuttles. Enrique Malek Airport is a 10-minute drive away.